The blogging world, and life in general, is full of wish lists, photos and visual collections of things we’d love to have. In my effort to simplify, get back to the basics and love what I already own, I like share MY favorite things (and non-things). These monthly posts will focus on things that I love that are already part of my life, rather than things that I’m lusting after.Dumdums. At the beginning of the month Blaine, my sister Lauren and I went to the store and each got one bag of candy as our Halloween treat. We don’t get any trick or treaters (maybe three in the years we’ve lived here), so we don’t need to buy candy for that. I chose dumdums hoping that since they’re small and take a long time to finish off, I won’t feel the extra calories on my thighs or in how I feel during the day. I LOVE them and my favorite are the mystery flavor because I’m indecisive. Silly, huh? Fresh flowers. The flowers above are from Blaine for our 3 year wedding/8 year dating anniversary and I absolutely love having fresh flowers in the house. It’s something I usually only have when Blaine buys them for me a few times a year so I savor them and put them right next to where I’m working. It makes my workspace feel fresh and always puts a smile on my face. Scary movies. My sister and I binge watched some scary movies a few days ago. We didn’t watch as many as I used to watch around Halloween time, but I’ve been able to fit a couple in and I’m happy about that. Crisp air. Before Venice, my foster puppy, went to her new home I was happy to let her out in the AM. Something about the crisp fall air in the early morning makes me feel so awake and fresh. My routine was to let her out and sit out on the front porch and read a few pages of whatever book I was currently reading. Depending on how cold it was she would finish her business and then come get in my lap for snuggles and to warm up. Now that she’s gone I’m going to do my best to continue that routine even though I don’t have a silly puppy to force me outside in the morning. Simplifying. This is always something I love, but with the excessive amount of sorting and organizing I’m doing for my own house as well as with my parents stuff, I’m obsessed with it right now. I think once you get in the right mindset getting rid of stuff you really know you don’t need, it gets easier to get rid of things you previously guilted yourself into keeping. I still have plenty to do, but I’ve been spending a good chunk of my time each week doing this and it’s leaving me feeling productive and refreshed. This has shown in a lot of my recent posts like: How to Declutter Your Closet, Declutter 500 in 2014 Update and How to Sell on Instagram eCourse. 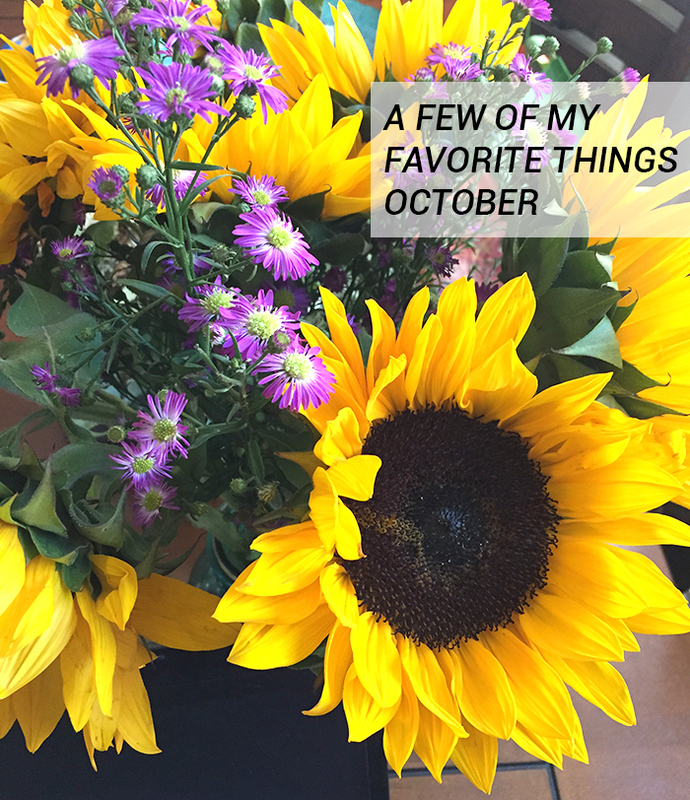 Check out more of my monthly favorite things posts here.